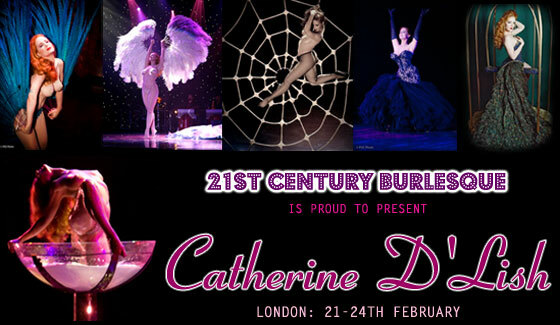 SCHEDULE CONFIRMED: Catherine D’Lish: London, 21st – 24th February. We are very happy to announce that the sensational Catherine D’Lish is coming to London again at the end of February, and you can meet and work with her by attending a group class, a costume workshop, or booking private consultation and tuition. Catherine is one of the most gifted and inspiring teachers you could hope to learn from, with a wealth of skills and experiences to share. We are thrilled to be able to offer this again in 2011, and are working hard to make sure that as many people as possible can attend. Poise, posture and polish! Suitable for all levels of experience. An exciting new option for 2011. Catherine is one of the finest costumiers in burlesque, and has produced costumes and pieces for some of the best in the business – including many of Dita Von Teese’ breathtaking ensembles. Learn tips and tricks and receive advice and help with your own costumes. Spend private time with Catherine to focus on anything that you would like to work on; be it overall technique, or a specific act. Enjoy the undivided attention of a true master of striptease! Limited availability – these places go fast! Available Mon 21st – Thur 24th. Limited availability – please contact us for more information. 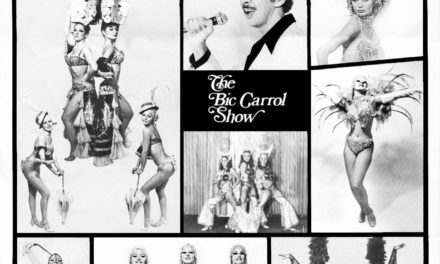 BURLESQUE-INOMICS: THE FINANCES OF BURLESQUE, by Penny Starr Jr. I am very interested in burlesque and i have just started drop in classes at Pineapple dance in Covent Garden. I am very interested in attending a drop in class.